The word Yoga comes from the Sanskrit word "Yuj" meaning to yoke, join or unite. This implies joining or integrating all aspects of the individual - body with mind and mind with soul - to achieve a happy, balanced and useful life, and spiritually, uniting the individual with the supreme. 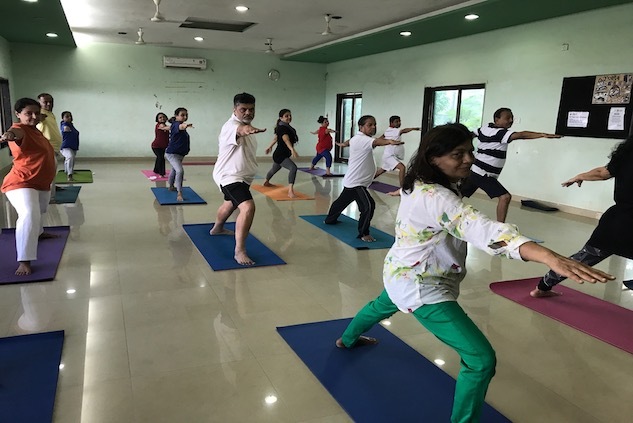 In India, Yoga is considered one of the six branches of classical philosophy and is referred to throughout the Vedas - ancient Indian scriptures and amongst the oldest texts in existence. The Upanishads are also broadly philosophical treatises which postdate the Vedas and deal with the nature of the "soul" and universe.